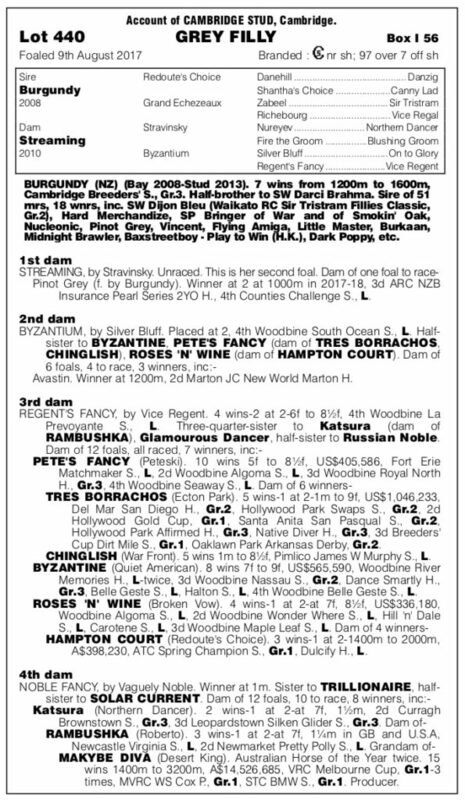 By the five time stakes winning stallion Burgundy, trained by Te Akau, a three-quarter brother to Darci Brahma (Danehill), from a family that has produced a lot of two-year-old winners, she is the second foal of an unraced Stravinsky mare. 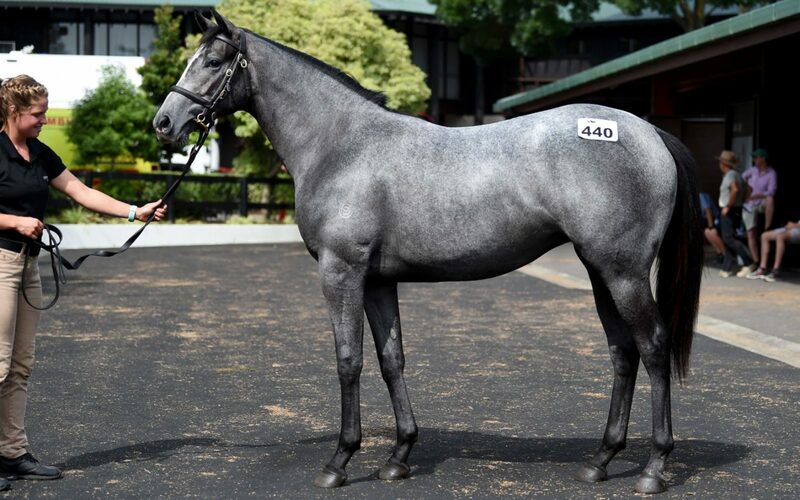 Te Akau bought and trained her first foal, Pinot Grey, a debut two-year-old winner by five lengths that finished fourth in a stakes race at her second start and fifth in the Karaka Million (Restricted Listed, 1200m). Burgundy has a high quality influence of Nureyev (Northern Dancer), on his dam side, and Nureyev also provides a lovely cross as the sire of dam sire Stravinsky. “She’s a gorgeous, athletic, grey filly and obviously we enjoyed good success with Pinot Grey and this filly reminded us a lot of her,” said Te Akau principal David Ellis.